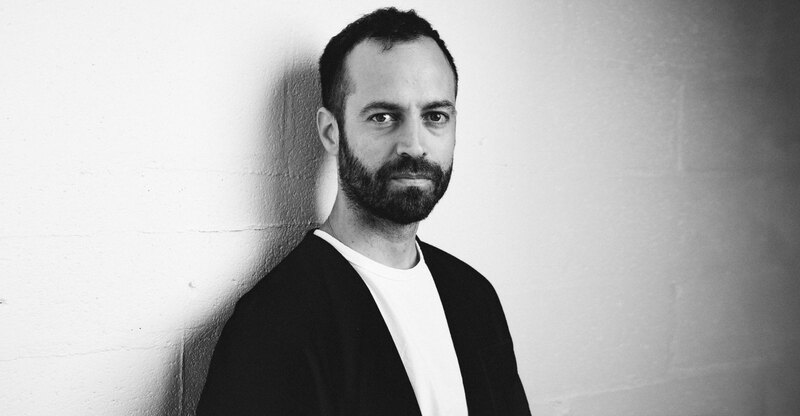 Mr. Millepied, why did you quit as artistic director of the Paris Opera Ballet after only two years? Life is short. And I really want to create something instead of trying to bend an institution. I would rather go back to America and build what I started and create a new artistic model with more freedom and with more flexibility. It’s not about the size or the prestige of it, but the quality of the projects. So you're in a hurry? Yes, I was in a hurry. You only have one life. I’m 38, I have a certain amount of energy and I want to use that. And it’s now. It’s not in five years. I’m interested in finding out how to create a new artistic model. This ballet company — this is the jewel of France. It’s a very old institution with very strict rules and with issues. But how great if it were to reflect the society that is the French society today! Yes, the society it was created in is this occidental art, of white people, for white people. In 2016 I think it’s a good point to be sensitive and to be open about that. I think we need to ask, “Does it reflect our time?” There was a time where, in the Romantic era, in the 19th Century, the general culture was part of dance. There were choreographers who knew music inside and out, but dance has slowly segregated itself from the other arts. Dance should say something about who we are as people and where we’re going, like literature does. Haut Vol (2015) stars Léonore Baulac and Allister Madin, choreographed by Benjamin Millepied for the Paris Opera Ballet. Dance can absolutely have that honor of being a really important art of our time. Look at opera! Opera directors take old stories and modernize them and create situations we can completely relate to, with technology, with modern images. We need a re-intellectualization. You see a lot of the work in companies where the composers, the visual artists, and what could be done with the art isn’t deep enough. I want to see more innovation, more risk-taking, and more new subjects to be taken on as stories in ballet. You rarely see modern subjects. But you had the top job — didn't you have the power to do just that? We were trying, but I would have had to stay 20 years before it — maybe — really becomes something that is my vision. We talk about narrative ballet, but it’s really just in its traditional and conventional form. Stéphane Lissner and I were trying to bring the opera and the ballet closer together. But to change the company, you have to also change the audience. So it is also a problem of the audience’s expectations? I was running a public institution in France, which was financed by the government, by the French people. And it was striking to me that the audience of the company and the company itself is not elitist. It’s public money and people have to be able to recognize themselves on stage. I wish ballet-goers were going to more opera or more theater. That’s what I mean when I say re-intellectualization. Dance is the only art that can assemble other arts like that and that has this amazing potential of being understood by everyone. What did you take away from your experience in Paris? It did so much good to me in terms of looking at other people’s work, picking and choosing, making a season. It gathered a new vision for me for dance. It was an incredible opportunity. But the transition was hard. It was a little bit like running a company with a gun to your head, you know? You are balancing, pushing things forward and being watched at all times. It was very positive for me to leave America and have some distance and see what goes on here. I’ve seen some things that Europe has to offer and I definitely came back with the desire to make a different kind of work. I’m interested in finding out how to create a new artistic model. Can you create that artistic model in America? Ballet in America is obviously younger than in Europe, so in a way it hasn’t suffered from these companies expanding so much. The Paris Opera, for example, and the Mariinsky or the Bolshoi; all these companies all have two theaters. And sometimes, recently the Mariinsky was in four theaters at the same time. It just sort of becomes ballet as entertainment. We’re not factories of entertainment. It’s a really fine art. It needs special care. I think you always have to be concerned about whether the environment is right for the artist. How do you create this environment? It’s a difficult career so it’s also how that career is lived: how much you perform, how much you rehearse during the day. I was very concerned with the health of the dancers because I was really well taken care of in my career. I had my career at the New York City Ballet and I was taken care of very, very well by the best knowledge in dance medicine in the world. So when I arrived in France and I found that there was no dance medicine — it’s the truth — it was very important for me to start setting up physiotherapy, masseuse, thinking about the rehearsal schedule. It’s very important. You make such sacrifices when you take on the career of a dancer! Essentially by the time you mature, your body starts to let go. Those points matter to me. Your curiosity, your coordination, your lyricism… We all learn a technique and a style but in the end, it’s about how you do it in your own way that’s interesting. How you are yourself through it, you know? It’s a great exercise of psychology to give people the capacity to feel, to emotionally reach a point where they are themselves and they’re confident on stage. You talk about “individuality,” but doesn't a good dance production only come from there being a collective? Yes, but it’s only gorgeous if everybody in that moment of unison is being themselves and dancing as if they were on their own. It’s not a matter of perfection — it’s not The Rockettes. The ballet has to be in unison, but the energy comes at you not because of its perfect aesthetic or architectural vision, but because of the emotion. Think of Petipa in La Bayadère, it’s the breath of all these women who represent death. Sure, they have to be together, but they also have to live it and be it all at once. It’s emotional. That’s what’s beautiful about it.